A hosting platform that is optimized for running WordPress websites! 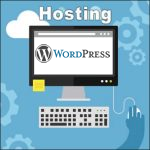 Take a closer look at the advantages of moving your WordPress site to our Managed WordPress Hosting platform. Improve the speed of your site and take the stress out of managing your backups and WordPress updates! Each account allows for one website and comes with plenty of storage and bandwidth. There is more than enough for most sites. You will NOT have the following available: Cpanel, File Manager tool, phpMyAdmin tool. Our team KNOWS WordPress. We can take care of whatever you need. You take care of your content editing and site design, and we will manage the rest (wordpress updates, backups, domain, email and hosting). Automatic Plugin Updates (may be disabled if you wish). The automatic plugin updates don’t get rolled out to live site unless before/after screenshots are identical. You are protected from brute force attacks and other common security issues. Free SSL certificate automatically installed. Your site is monitored for malware. Daily backups so we can restore your site rapidly if there is any problem. We include a free domain name registration with your account if required. We include a 25GB business-class email account with your account if required.